Thanks for the replying to my last post, I don’t know why I am not able to reply / ask my followup question in the same post. 2. I changed the site layout and started using standard header. 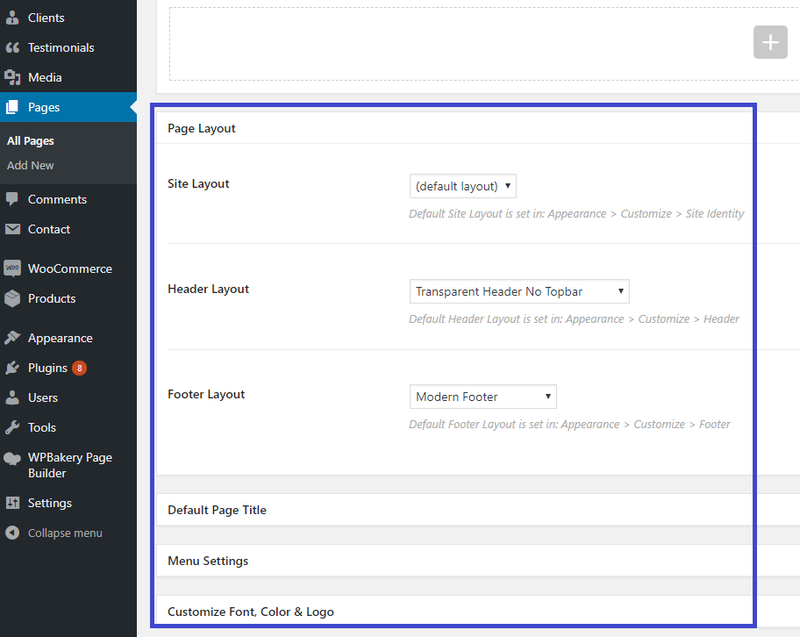 In Customize > Header > Header Layout > I am using (Standard Header No Topbar) on inner pages however the site is showing a empty top space and I am not able to remove / lesser it. So in case you see the customize option doesn’t change as in “Appearances > Customize”, please just have a look at the “Page options at bottom of the page/post”. It’s very simple indeed, just 2 points that you need to know to use our Theme Options. 1. There are global options that affect you entire site in “Appearances > Customize”. If you want to use global options (1), please set those options as “default” in individual options (2). So in this case, please go to your page editor, scroll to bottom, and set the Header Layout to “default” so that your page can use the “Standard Header No Topbar” in “Appearances > Customize”.